Posted on September 8, 2018 Posted in Slice	. Walnuts, dates and caramel are a semi-commonly-known delicious pairing. 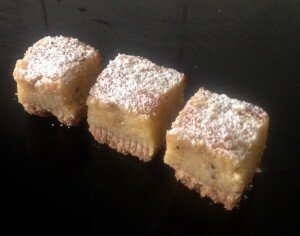 So to amplify the flavours to the next level and add a cheeky kick I have made the caramel with butterscotch schnapps. 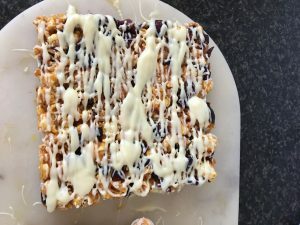 Both caramel and butterscotch work so well together, especially with dates and walnuts, thus this flavour combo was a must to experiment with. I played around with biscuits and layered slice recipes until I landed on testing with rice bubbles left over from a previous baking experiment earlier that week. The rice bubbles gave a LCM’s and Marsbar slice texture lightness. While burnt caramel drizzled on the top offsets the sweetness of the sugar in the caramel in which holds the slice together as well as the natural sugars in the dates (fructose and glucose). 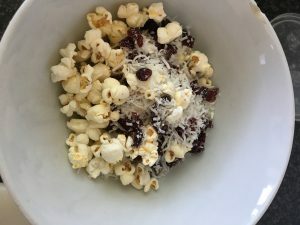 A unique yummy and delightful treat that takes minutes to make with no baking required! 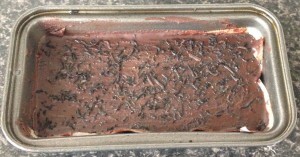 Line a 20cm x 20xm slice tin with baking paper. 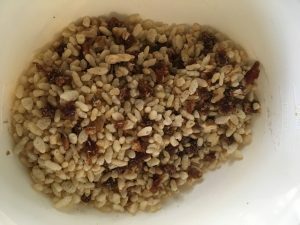 Chop up the walnuts and dates into quite small pieces and place in a bowl with the rice bubbles, stir well to combined. 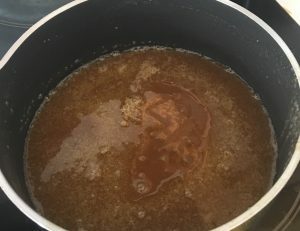 Place the brown sugar with 30ml of the butterscotch schnapps into a saucepan on a high heat and stir until the mix boils. 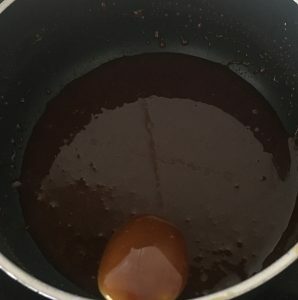 Turn the heat down to medium and allow the caramel to bubble without stirring until the mix is dark amber in colour, swirl the pan as needed to ensure even colour. 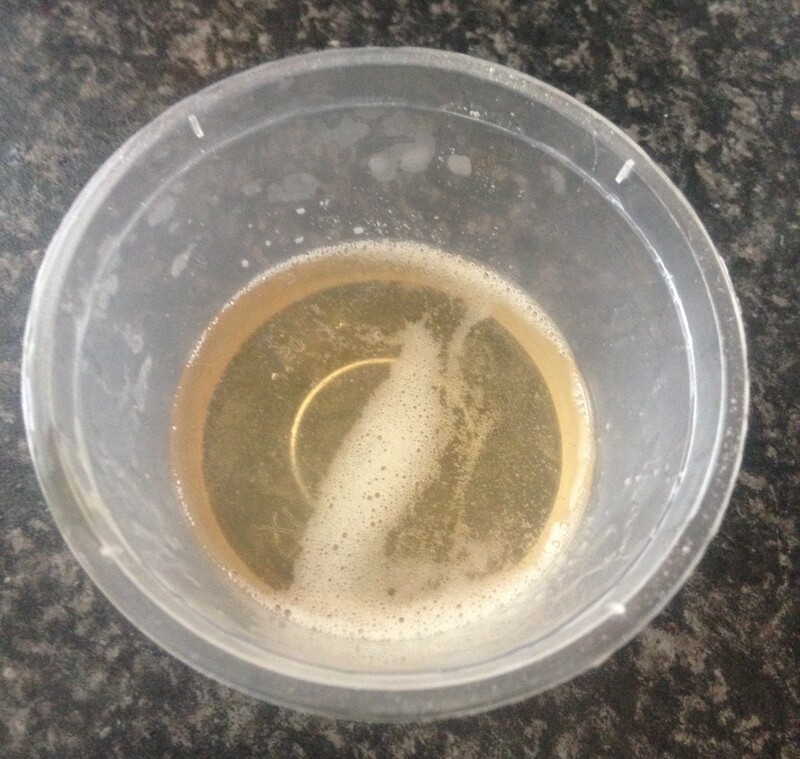 Take the sugar mix off the heat, add the butter and the remaining 60ml butterscotch schnapps, whisking with a hand whisk until combine (being careful of the caramel spitting). Pour the caramel mix into the rice bubble mix and stir until well combine. 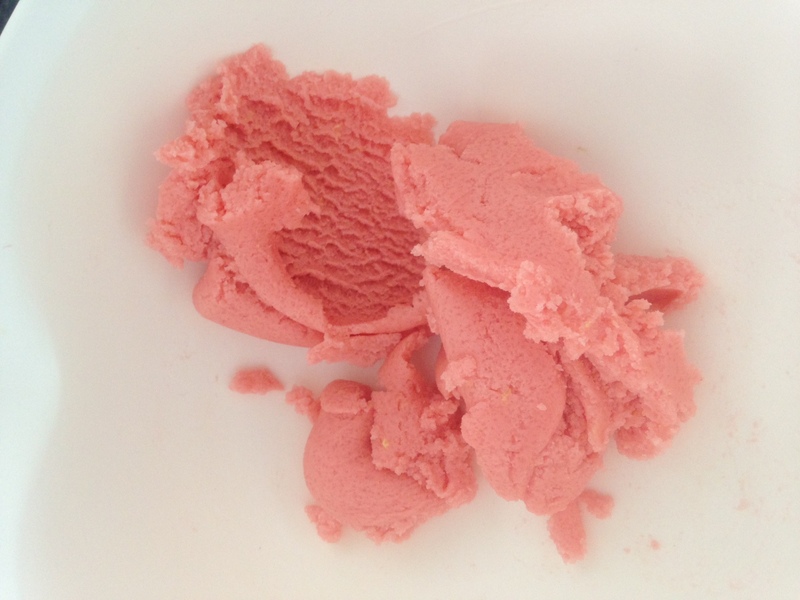 Spoon the mix into the prepared tin and using a glass’ bottom press the mix to flatten the surface out evenly. Place the slice in the fridge for at least 1 hour to set. 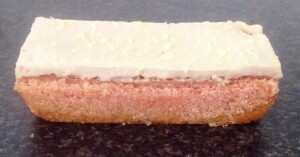 Once the slice is set cut into pieces and onto a large plate. 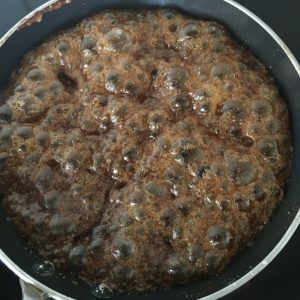 Next make the burnt caramel topping by placing the 75g sugar into a saucepan on a high heat and stir until the mix boils. 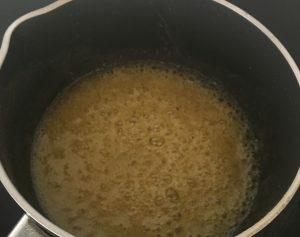 Turn the heat down to medium and allow the caramel to bubble without stirring until the mix is brown amber in colour, swirling as needed to ensure even colour. 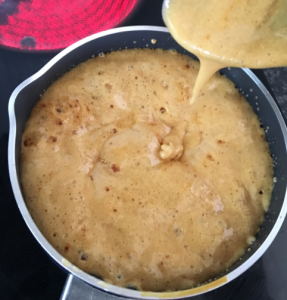 Take the pan off the heat and add the cream and salt, stirring with a hand whisk until combine (being careful of the caramel spitting). 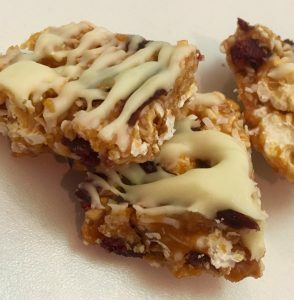 Drizzle the caramel over the slice pieces, place on a plate and enjoy. 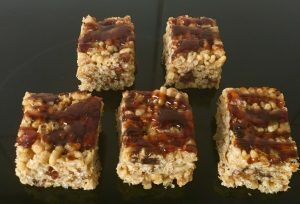 Tags: Butterscotch Schnapps, caramel, dates, rice bubbles, Rice Walnut Date and Butterscotch Caramel Slice, walnuts	. Posted on August 4, 2018 Posted in Slice	. 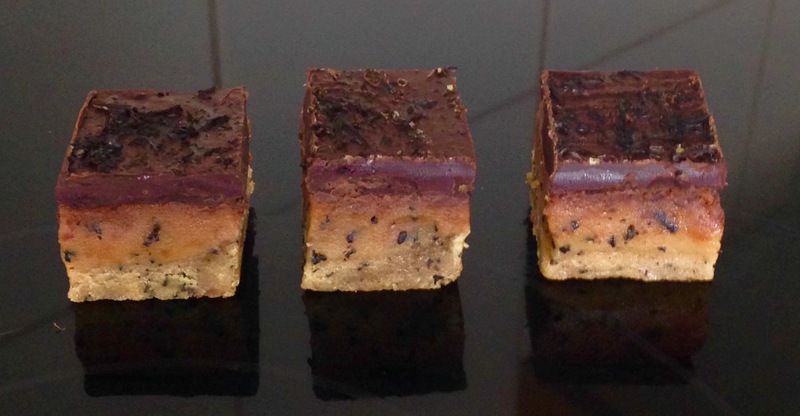 This recipe delivers on a zingy tasty delight that is a mix between a slice and brownie. 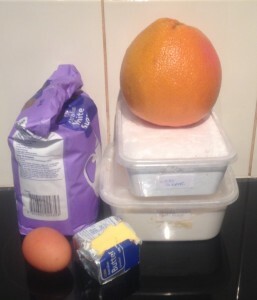 I wanted to make something really simple, quick, flavoursome and all about Grapefruit. Grapefruit is an ingredient that I have dabbled with but never come up with a recipe that solely features the fruit while not being too tangy or sour. I have posted a Grapefruit Pistachio Rose and Ginger Syrup Cake in the past, however this cake had Grapefruit as a flavour in a mix pairings, not featuring the fruit itself as front and centre. Preheat an oven to 175c degrees and line a 15cm x 15cm square cake tin with baking paper allowing for paper overlap. Using electric beaters whisk the butter and sugar in a bowl until light and fluffy. 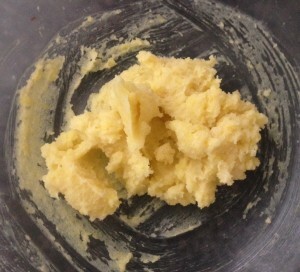 Pour the flour into the butter mix and stir until just combine. 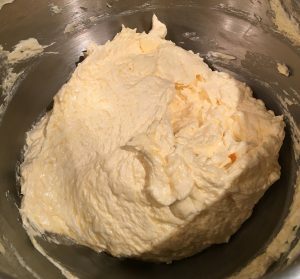 In a separate bowl with a hand whisk beat the egg, zest and juice until combine. Pour the wet egg mix into the butter mix and beat with electric beaters for 3 minutes or until light and fluffy. 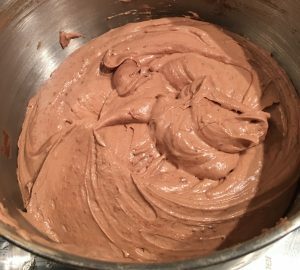 Spoon the mix into the prepared cake tin and smooth the top with the back of a spoon. Place the tin in the oven for 25-30 minutes until just cooked and a skewer inserted in the centre comes out clean. Don’t over bake. Leave the slice in the cake tin for 5 minutes. 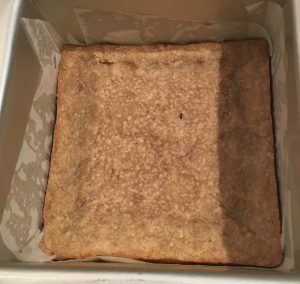 Place the slice onto a cooling rack until cold. 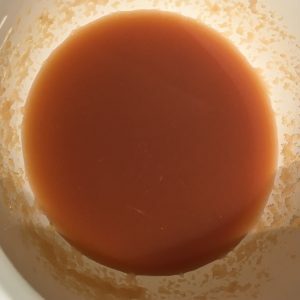 To make the glaze place all 3 ingredients in a bowl and beat until well combined. Place the slice back in the tin with the baking paper, spread/pour the glaze evenly over the top of the slice and place in the fridge for 30 minutes or until the glaze hardens. 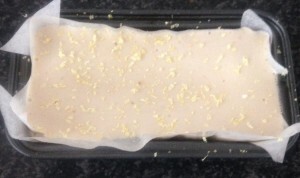 Remove from the fridge, pull the slice out of the tin via the overhanging baking paper, cut and enjoy. You will need a whole grapefruit for this recipe. Tags: Glazed, Glazed Grapefruit Brownie Slice, grapefruit, slice	. Posted on February 10, 2018 Posted in Slice	. 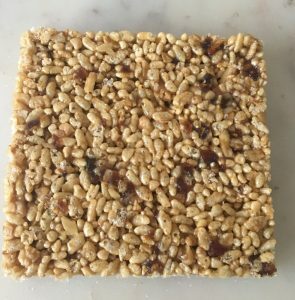 You may have noticed that baking with cereal tends to feature on my blog every few months, where oats, rice bubbles even quinoa flakes tend to be my favourite grains/ingredients. 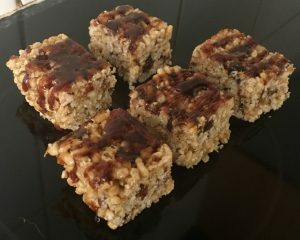 I decided that I wanted to branch out and challenge myself in this space by baking with cereals that I very rarely (if at all) eat myself. 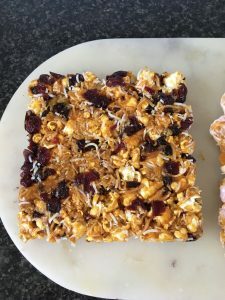 Not only would I incorporate the cereal in the recipe, I would feature it as the core ingredient in the bakes foundation. Sooo…I went shopping, pursuing the cereal isle and landed on milo cereal, nutri-grain and weet-bix. 3 very Aussie themed products. 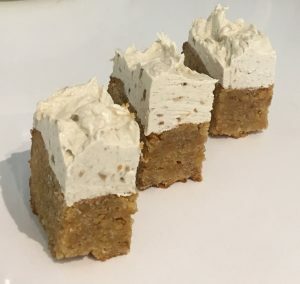 To stay in the ‘Aussie’ territory I decided that using an Aussie flavour combo would be fitting for the experiments, so I mimicked the based flavour combo of Anzac biscuits and created 3 cereal slices. After making the 3 slice unsurprisingly it was the weet-bix one that was best not just because the texture of crumbled weet-bix worked well in the bake but also as the flavour worked great with the golden syrup, brown sugar and coconut (let’s just say the other 2 weren’t great in either of these areas). 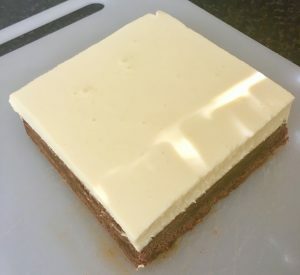 The slice did desperately need an icing though, as it was quite dense and although tasty was missing that wow factor, thus a delicious icing would offset and complement the slice perfectly. A few experimental icings later and I had the perfect icing that perked up the slice and gave it a bit more bunch. What I decided on? 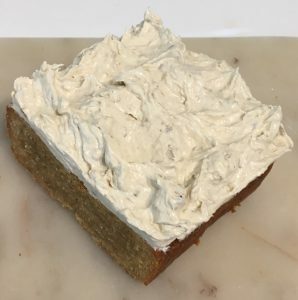 Initially I experimented with peanut butter and then banana as they worked well with the slice flavours so I made up an icing for each, in which I like both and felt they both worked so I combine them together and walla the Weet-Bix Anzac Slice with Peanut and Banana Frosting was born. 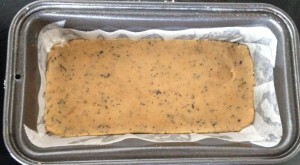 Pre heat the oven to 180c degrees and line a 20cm x 20cm cake tin with baking paper. 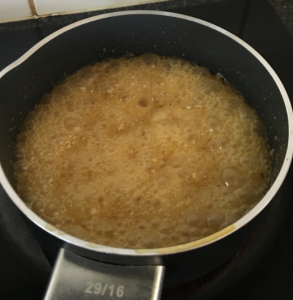 Place the butter, sugar and golden syrup into a saucepan and stir on a medium heat until the mix is well combine and boils. Leave aside for 5 minutes to cool. Add the coconut into a bowl as well as the sifted flours. 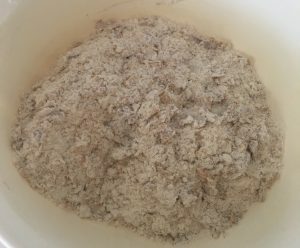 Using your hands crush the Weet-Bix into small pieces and stir into the flour mix. 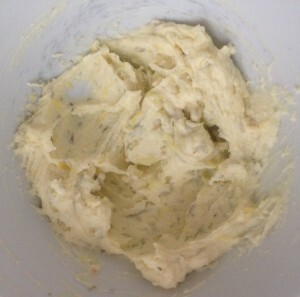 Pour the cooled butter mix into the flour mix and stir until combine. Beat the eggs in a small bowl with a fork and pour egg mix into the flour mix. Stir the mix until the egg is well combine then pour the batter into the prepared cake tin. Flatten the top of the slice with the back of a spoon and place the cake tin in the oven for 20 minutes or until a skewer inserted into the center just comes out only just clean. 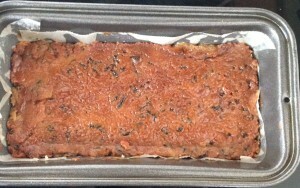 Place the slice on a cooling rack until cold. 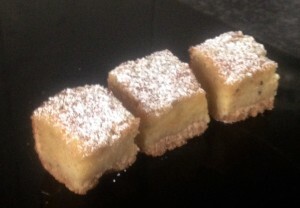 Meanwhile make the icing by whisking the butter and icing sugar for 5 minutes or until fluffy and pale. Place the banana in a food processor and blitz until pureed. Add the pureed banana and peanut butter to the butter mix and whisk with electric beaters until well combine. 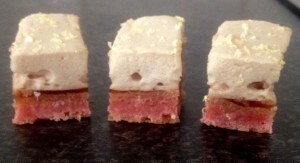 Top the slice with the icing and cut into pieces. Enjoy! 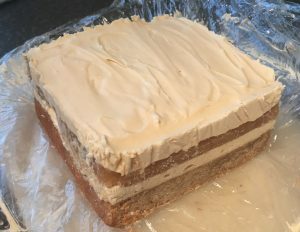 Tags: anzac, banana, coconut, golden syrup, peanut butter, weet-bix, Weet-Bix Anzac Slice with Peanut Banana Frosting	. Posted on December 11, 2016 Posted in Slice	. 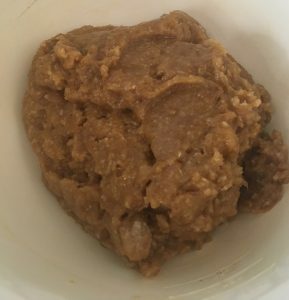 If you frequent my site you will be aware that I have baked with quite a few ingredients that you’ll find in any household that’s not traditionally used for baking, Ovaltine and chai powder to name a few. Milo (malt powder) is one that I haven’t experimented with yet, thus I decided to make a Milo based mud cake. Unfortunately the cake was way too dense and rock solid on the outside, therefore to save it I blitzed the cake up with some cocoa powder and rolled the mix into balls covered with chocolate. However as tasty as the malt balls were they were a bit too boring and not special enough to warrant being placed on the site. 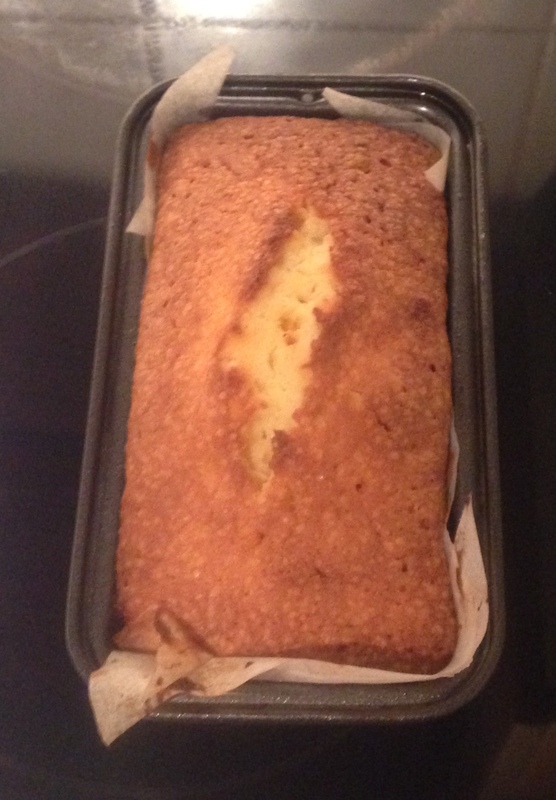 So I went back to the drawing board and tweaked the cake recipe to be stable, while brownie like in texture. As milo is best in combination with milk, to complement the rich Milo brownie I decided to make a ‘milk’ like panna cotta as a second layer to resemble a glass of Milo. This slice actually tastes like a glass of cold Milo and we all know how super tasty that is. 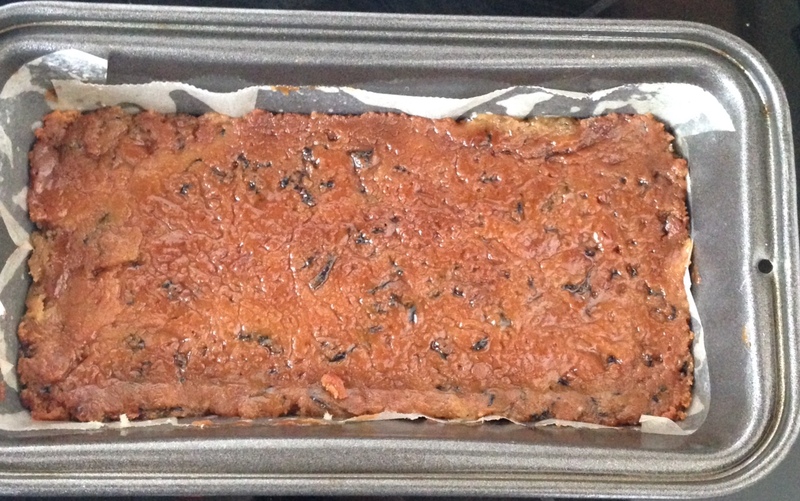 Preheat the oven to 175 and line a 30cm square slice cake tin with baking paper. 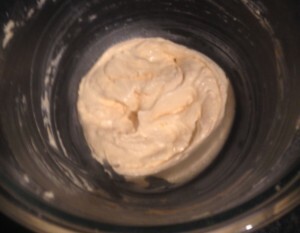 Cream the butter and sugar in an electric mixer for 3 minutes. Add the milo to the sugar mix and beat until combined. Beat in the eggs one at a time, the yoghurt and then the vanilla. In a separate bowl mix the flour and the salt until combined. 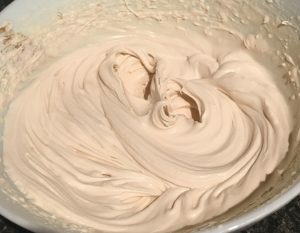 Slowly add the dry mix to the wet mixture a little at a time, beating in between each addition until a thick creamy batter is formed. 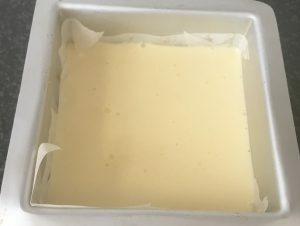 Place the batter in the cake tin, using a spoon to flatten the top and bake for 60 minutes or until the cake is cooked through when you test it with a skewer. 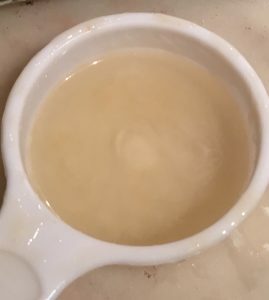 While the cake is cooling you can make the topping by placing 100ml of the cream, vanilla and sugar into a saucepan on a medium heat and stir until the sugar has dissolved. Add the gelatin and whisk with a hand whisk until the gelatin is smooth and dissolved into the cream mix and boiling. Pour the remaining cream into a bowl and pour in the hot mix through a sieve. 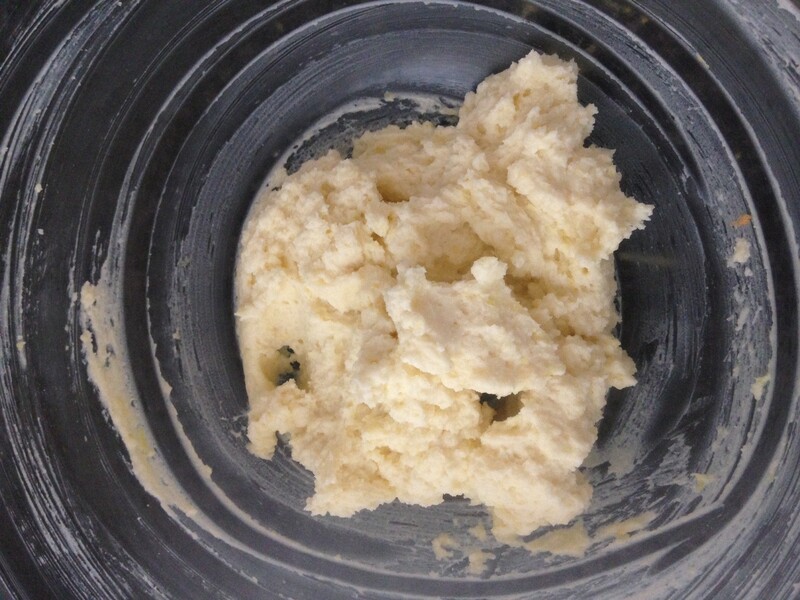 Whisk the cream mix with electric beaters until well combine and place thein the fridge for 20 minutes to thicken. Stir the cream mix and pour over the top of the milo, leaving in the fridge for 3 hours to set. To serve remove the slice from the tin and slice into bite sized slices. Tags: milo, Milo Mud Panna Cotta Slice, milo slice, panna cotta	. Posted on October 23, 2016 Posted in Slice	. 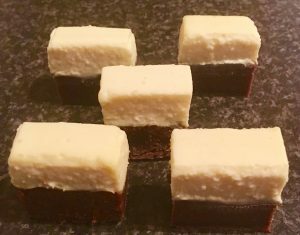 For something different I wanted to make an easy, no bake, no fuss, low fat, low sugar, quick treat that had interesting and tasty flavours. Something that would appeal to most but still have my unusual twist. This recipe took 4 attempt where number 3 almost fit the brief with strawberry, lemon and elderflower. 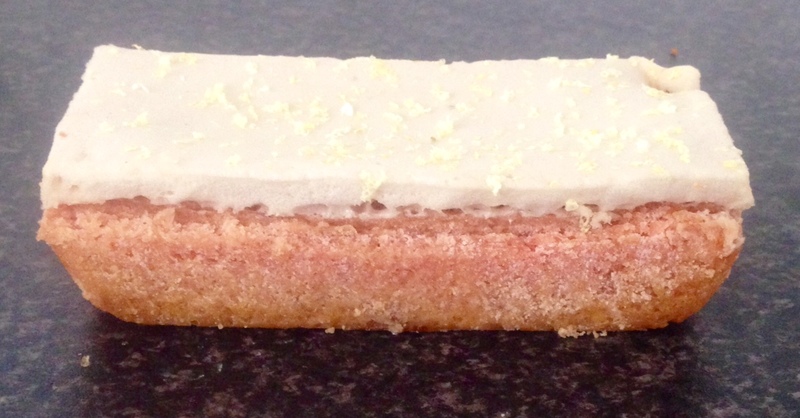 However replacing the replacing the elderflower with thyme took the slice from ok to the next level. Line a 20cm x 20cm square slice tin with baking paper. 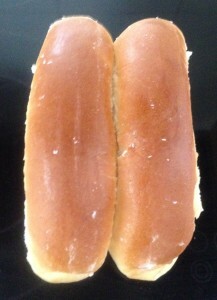 Cut the bread into 2 large pieces and line the base of the tin with the bread slices cut to fit the base. Push the bread down so it is slightly squashed into the tin. In a bowl beat the sugar and butter until creamy and fluffy with electric beaters. Add the egg yolk, vanilla, lemon zest , strawberry essence and thyme beat for a further 1 minute. Add the ricotta and beat until smooth. Spoon the ricotta mix over the bread, pushing down with the back of a spoon. Place in the fridge for 3 hours to set. 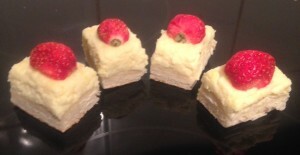 Cut into slices and top with a little additional lemon zest, thyme and strawberry halves. Tags: bricohe, lemon, ricotta, Ricotta Strawberry and Thyme Bread Slice, Ricotta Strawberry Lemon and Thyme Bread Slice, strawberry, thyme	. Posted on June 26, 2016 Posted in Slice	. This recipe is easy, requires low effort and only a small number of ingredients. The flavors all complement each other well, where they create a very unique and flavorsome little sweet treat. 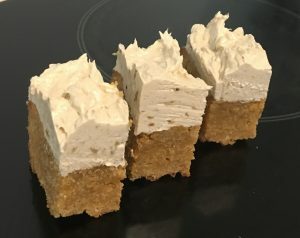 This recipe originally came about as I wanted to make the easiest, fuss free marshmallow that people would be impressed with. 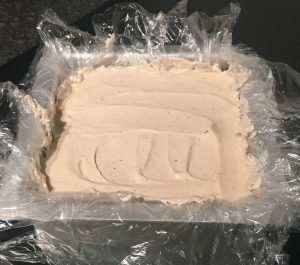 I spend ages producing and using multiple baking techniques and ended being really happy with this outcome. I also went through a baking with tea phase and was yet to perfect a recipe using Earl Grey tea (this was attempt number 7). This recipe would make for a lovely high tea inclusion for any occasion. 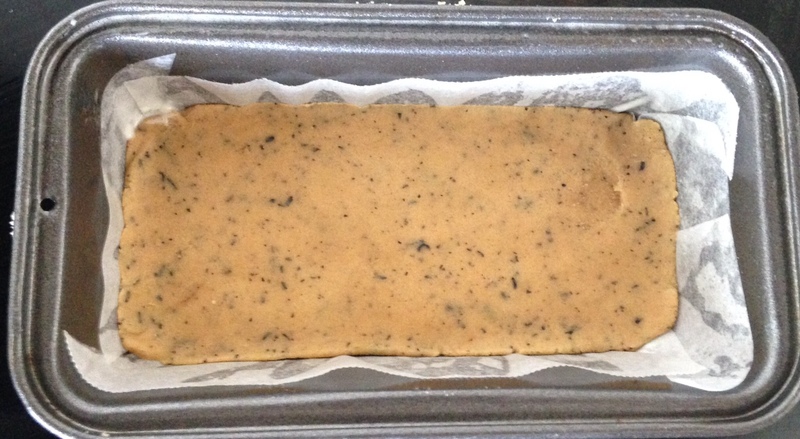 Pre-heat the oven to 180c degrees and line a 20cm x 30cm cake tin with baking paper. Place the flours and sugar into a bowl and mix. 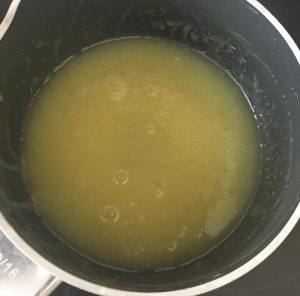 Melt the butter in a bowl and add the essence and zest. 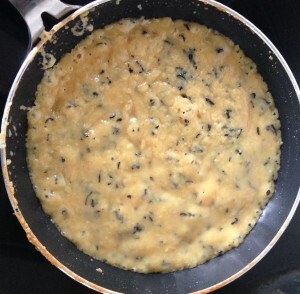 Stir the egg into the flour mix, add the butter mix and stir until well combine. 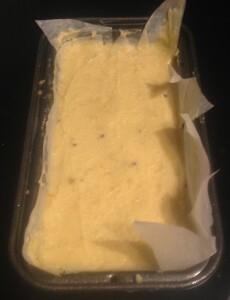 Place the mix into the cake tin and flatten with fingers until smooth. Bake in the oven for 20 minutes, then set aside to cool. Place 300ml boiling water into a cup and add in the tea bags. Leave the tea to infuse for 5 minutes. Make the marshmallow mix by placing the gelatine into 100ml of the infused tea water in a bowl and whisk to combine the mix. Place another 100ml tea water and sugar into a bowl and whish with electric beaters for 4 minutes. 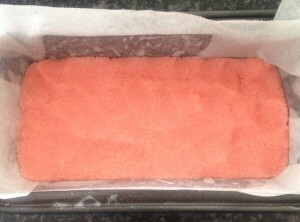 Place the gelatine mix in the microwave until warm and syrupy in texture if mix has gone cool and hard. 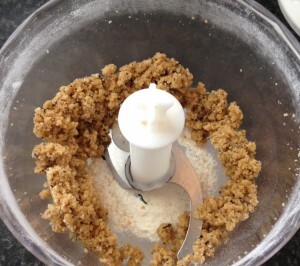 Slowly pour the gelatine mix into the sugar mix in a consistent stream while the beaters are on high. Continue beating for a further 8 minutes or until the mix is light and fluffy. 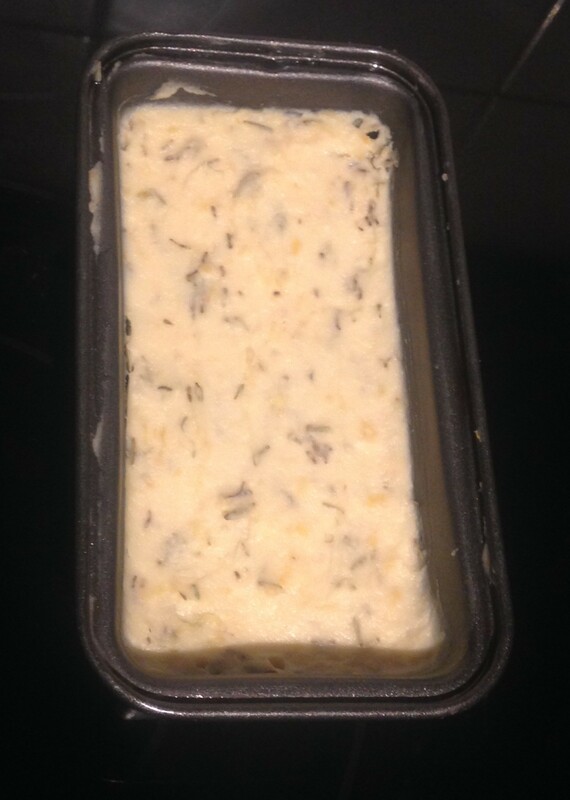 Pour the mix over the cooled slice base and place in the fridge for 2 hours to set completely. 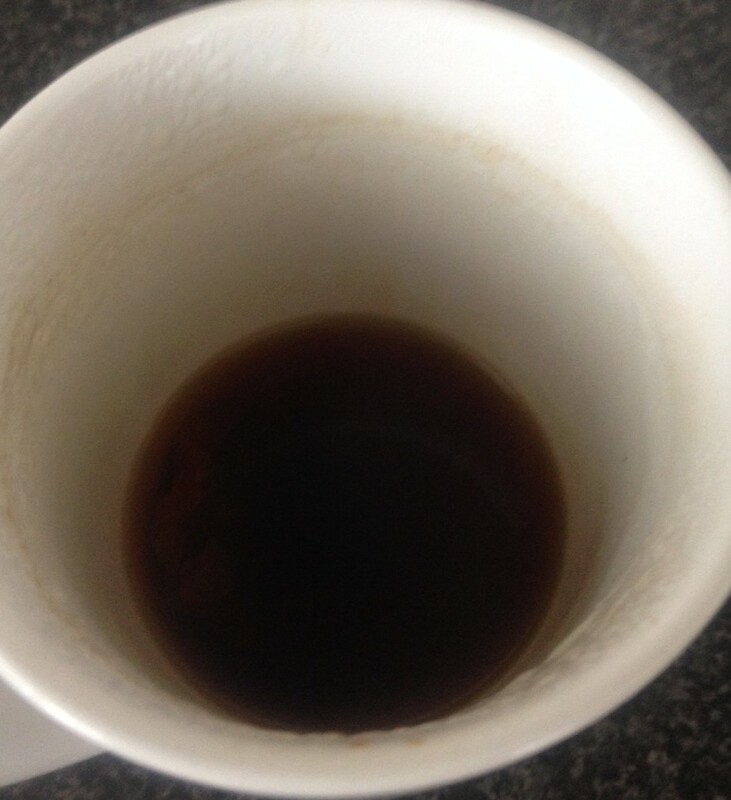 You need to make more tea than required as the tea bags soak up a lot of the liquid. Tags: Earl Grey, lemon, marshmallow, strawberry, Strawberry Lemon Slice with Earl Grey Marshmallow	. Posted on March 7, 2016 Posted in Slice	. This slice was originally planned to be a summer fudge, that incorporated zesty lime, lemon, pineapple and kiwi that would be off-set slightly by the mellow flavored cantaloupe. 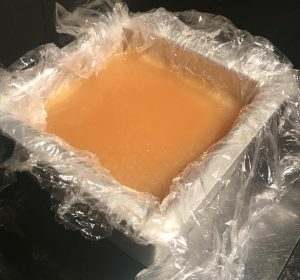 My experiment failed (way too much liquid to solid ratio), however it produced a really unique flavour hit that I had to take advantage of. 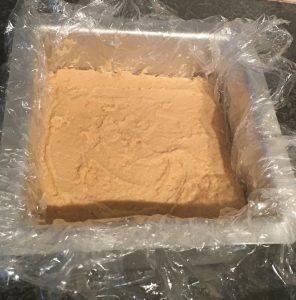 Therefore after a scan of my cupboard and a brainstorm of what I could turn this soft fudge into I decided to create a slice. Add a solid base and some stabilizing elements in the mix and boom a really uniquely flavored, well set and textured slice in a flash. I do realize Summer concluded 7 days ago, but some Summer fruits are still delicious and juicy sweet. 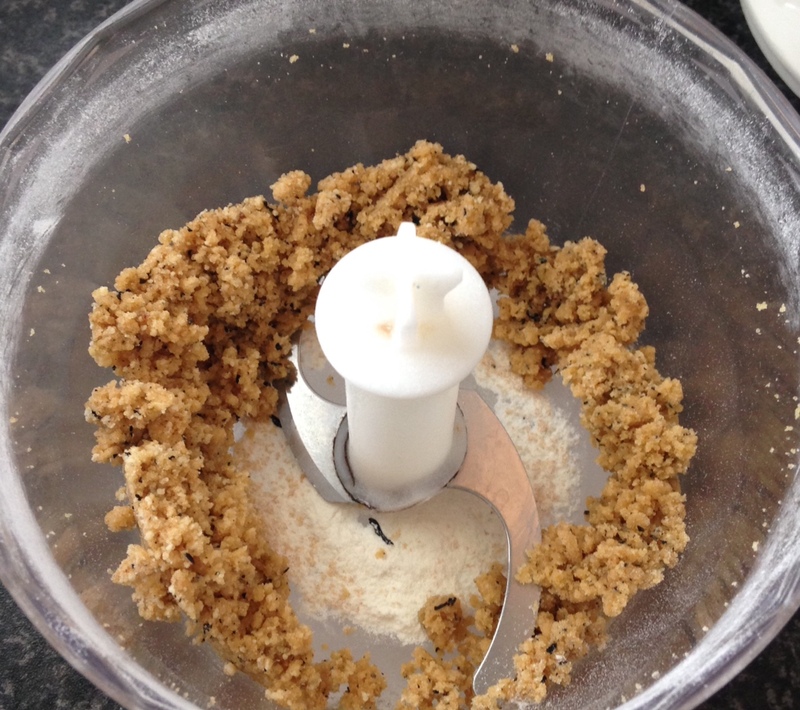 Place the 125g of biscuits in the food processor and blitz until the mix resembles fine breadcrumbs. Add the melted butter to the biscuit mix and stir to combine. Line a 20cm x 20cm slice tin with baking paper. 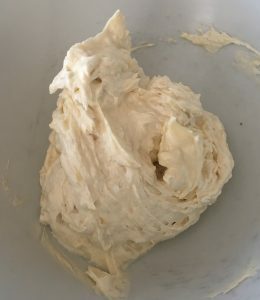 Pour the biscuit mix into the tin and flatten with the back of a spoon until the mix is compressed and firm, place in the fridge to set. Add the zest and turn the heat to medium, stirring until the mix comes away from the side of the pan. Place the kiwi, pineapple and cantaloupe in a food processor and blitz until smooth. Pass the puree through a sieve and stir into the chocolate mix to combine. Add the flour and stir until well combine. 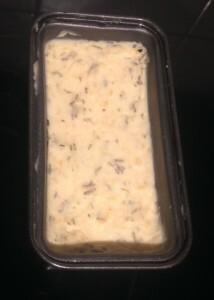 Spoon mix into the tin on top of the biscuit base. Place the slice in the oven and bake for 45 minutes or until the top of the slice is golden brown and the middle is hard on touch. 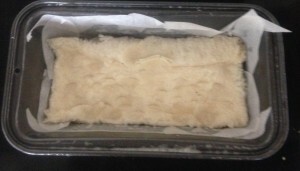 Once cooled place in the fridge overnight to set completely then cut and serve. You will need 1 kiwi fruit, a small can of pineapple pieces and a cantaloupe for this recipe. Tags: cantaloupe, kiwi fruit, lemon, lime, pineapple, slice, Tropical Summer Fudge Slice	. Posted on February 17, 2016 Posted in Slice	. Recently I was given a box of T2 Melbourne Breakfast Tea which I had never tasted before. To my surprise I found it to be really flavorsome, more so than my usual everyday tea. 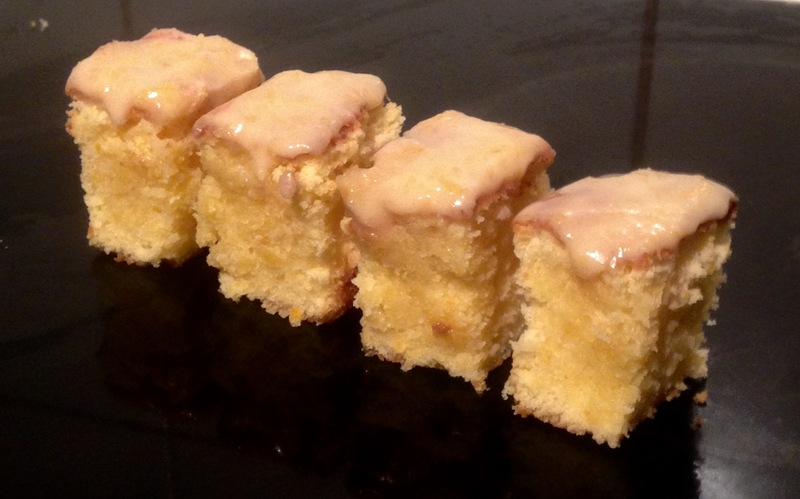 In fact I enjoyed the flavor so much I decided to incorporate the tea into my baking. In the past when I have baked with tea I have made biscuits (see my green tea melting moments recipe), cake (Lemon Earl Grey Cake with Lavender Orange Blossom Frosting) and Bombe Alaska (Jasmine Honey-Lemon Bombe Alaska). 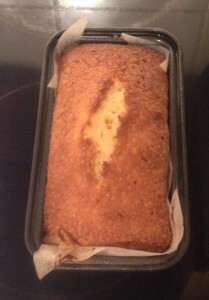 Therefore to experiment with something different I opted to make a slice this time around. 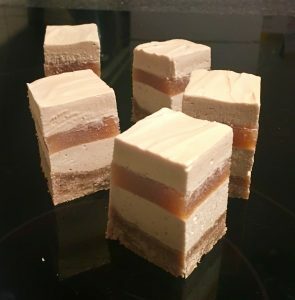 Using a basic caramel slice as the base I figured I could hero the tea with the complementary flavor pairings of caramel. 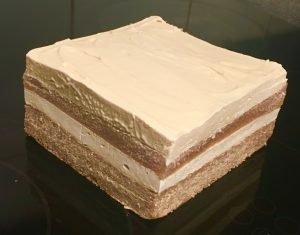 To add that extra special something a chocolate tea layer finished off the slice and a tasty tea infused slice was born. 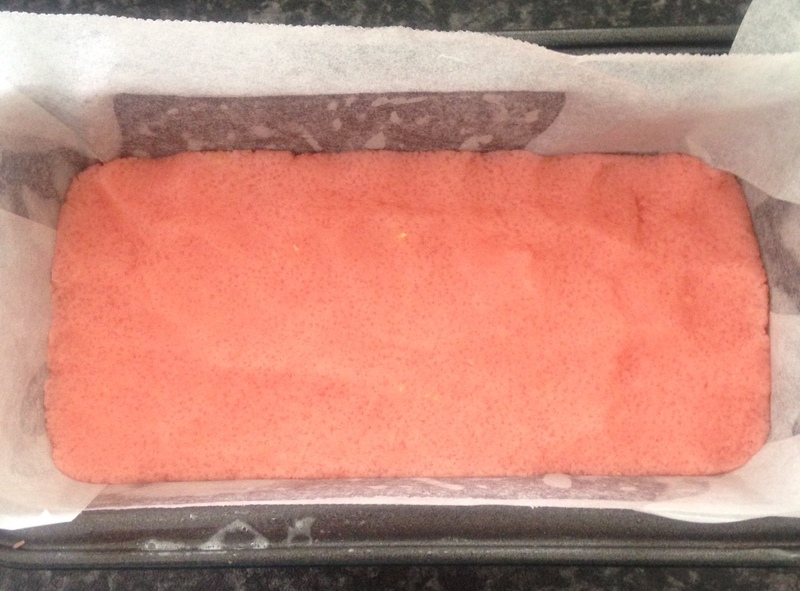 Pre heat the oven to 160c degrees and line a 20 x 20cm cake tin with baking paper. 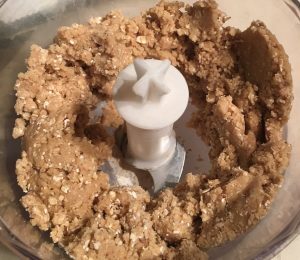 Place all the base ingredients into a food processor and blitz until the mix clumps together like a dough. 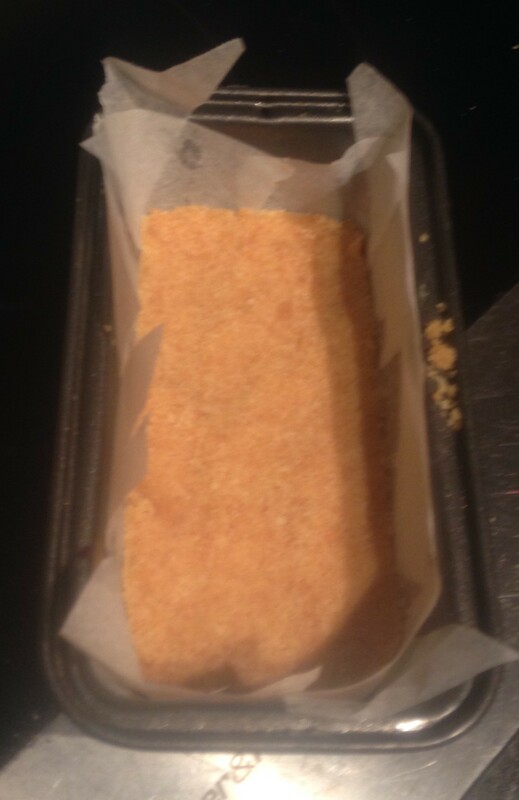 Spread the mix into the cake tin and using the back of a spoon flatten out evenly. Place the tin in the fridge to set. Place all the filling ingredients into a saucepan on a low heat until the mix is well combine. Turn the heat to high and stir for 3 minutes or until the mix has thickened and slightly browned. 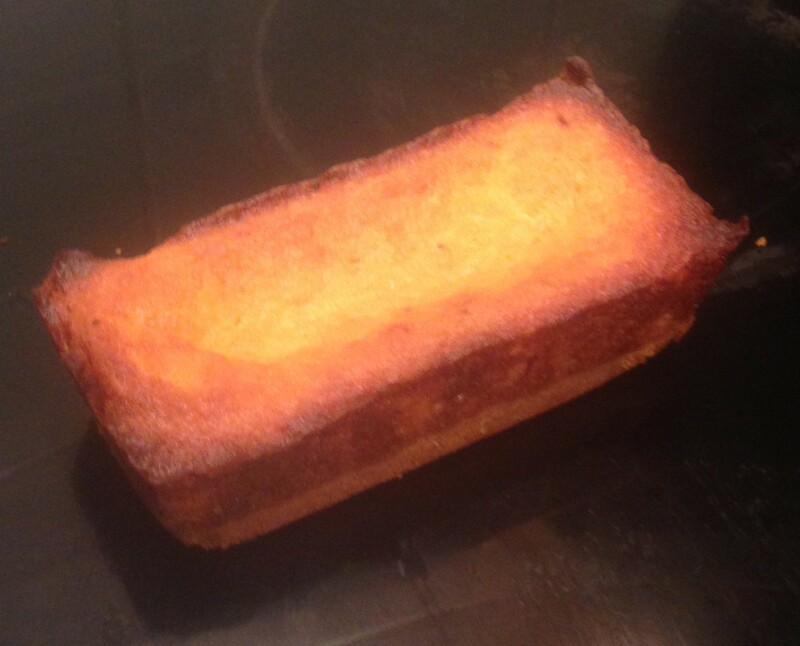 Pour the mix on top of the base and bake in the oven for 10 minutes or until bubbling and slightly golden brown. 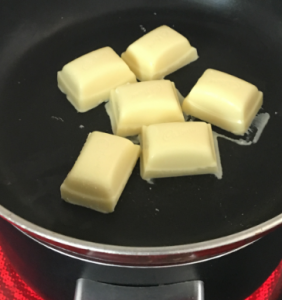 Melt the chocolate and butter in a bowl over a saucepan of boiling water and stir until well combine and silky smooth. Pour the mix over the caramel filling and spread evenly with the back of a spoon. Place the tea in a mortar and pestle and grind. 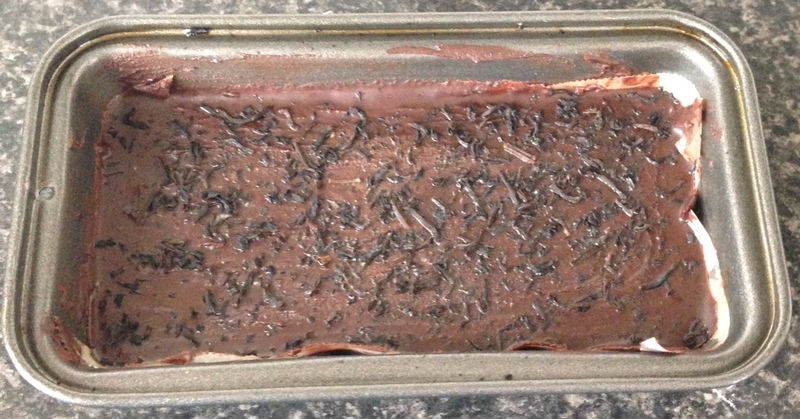 Dust the ground tea over the chocolate layer evenly. 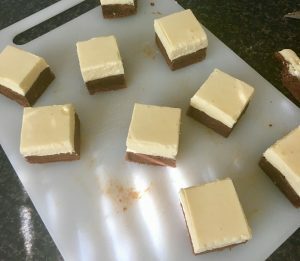 Place the slice in the fridge for 3 hours to set. Once set slice and enjoy. If you cannot get Melbourne Breakfast Tea English or Irish Breakfast tea can be substitutes. 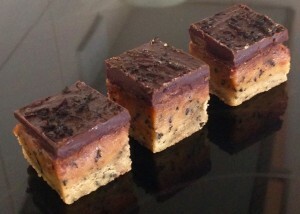 Tags: caramel, chocolate, Melbourne Breakfast Tea, Melbourne Breakfast Tea Choc Caramel Slice, slice	.